After a disaster ,getting emergency aid to victims is crucial. Providing the basics like food,medical supplies and dry clothing helps saves lives. Wholesale Sock Deals is committed to providing low cost ,high quality socks for communities in need. When flooding occurs, water can be become contaminated and cause serious illness, changing your socks frequently can help reduce the risk associated with dirty flood water. Clean warm socks can provide relief and prevents the spread of infection. 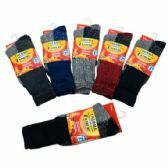 Humanitarian organizations rely on bulk suppliers like wholesale sock deals to get the lowest possible prices on essential items like socks and footwear to victims of natural disasters. 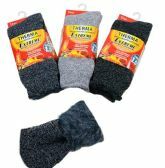 Thermal socks are the most needed item in homeless shelters, hospitals and military bases. 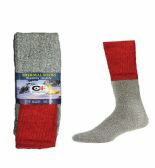 Yacht and Smith brand thermal socks for men retains heat and wicks moisture perfect for fall and winter. We are proud to work closely with many government agencies that provide aid to those in need. 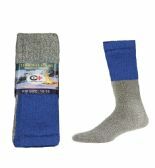 Expect discount pricing and great quality when you purchase mens thermal socks from Wholesale Sock Deals. Quality socks should provide cushioning and warmth especially when worn with military boots. Law enforcement officers and military personnel often spend hours on their feet in harsh winter conditions . Wearing cushioned thermal socks helps prevent chafing ,blisters and keeps feet dry and comfortable. Here at wholesale sock deals, we believe in giving back to the community. We have helped many non profit organizations stretch their budget and get the most for their money. Thanks to our extensive experience and knowledge in helping emergency relief efforts, we can help your organization get the best value for your dollar. We provide our customers with quality bulk products to be used for either charitable giving or profitable resale. Stock up on warm winter socks for the season from wholesalesockdeals. We offer great promotional discounts for hospitals, government agencies, homeless shelters, correctional facilities and many large charity groups around the country. We offer low prices everyday on all of our witer apparel. 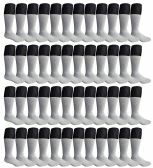 At these low discount prices, mens winter thermal socks are a great promotional give away item for group events, ski trips and fundraisers. Get the most for your money when you buy in bulk from wholesalesockdeals! Want the lowest prices on wholesale winter socks? 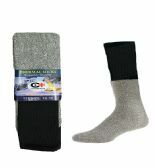 Wholesalesockdeals offers the largest variety of wholesale mens winter thermal socks for extreme cold. Our 5 star winter thermal socks are super warm and comfortable. They are stretchable for more comfort and feature extra cushioning. 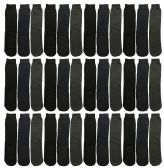 Get great savings on hundreds of styles of thermal socks from wholesalesockdeals.